As a Penn State alumn and someone who currently lives in State College, I may have a different perspective on the events of the past few weeks than some. 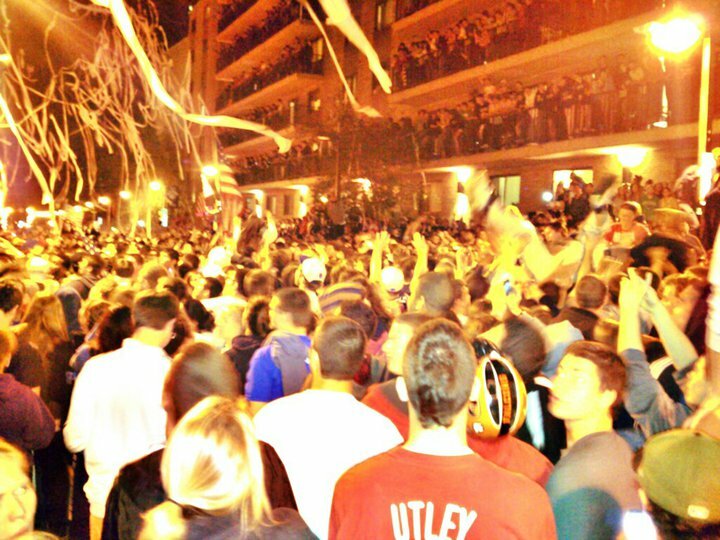 I personally witnessed the riots that took place after JoePa was fired. Here’s a photo I snapped of the overturned news van sitting on College Ave just across from Urban Outfitters. There are a few things that should be cleared up though. 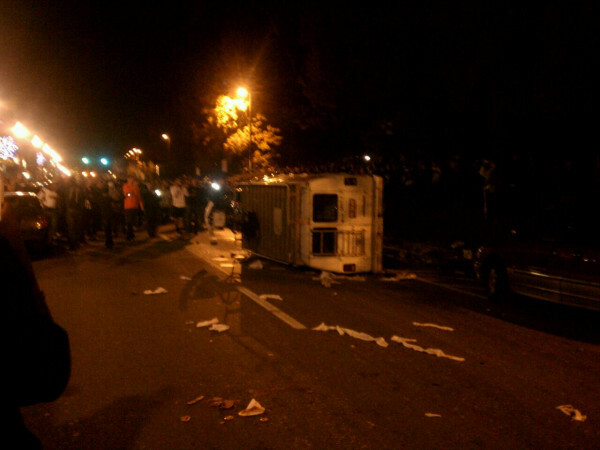 A lot of people in the media have vilified Penn State students for their handling of this. They ask “where was the riot for the victims?” Anyone who would ask that has no idea what Joe Paterno has meant for this community for the past several decades. It’s not like the students forgot about those victims. Look at the turnout at the candle-light vigil about 2 nights later for proof of that. But this riot was about what they saw as an injustice that was being made against a man who was a fatherly figure, a man who has gone out of his way throughout his life to do the right thing in so many instances. It is why TV specials were made about him, why books were written about him, and why he was looked up to as the model of what coaches should be about. His handling of the Sandusky situation, however, has put a cloud over all of that. I am personally holding my judgement until we know more. That is more than can be said about the media and much of the public though, who have already made their judgement that he is to blame here. While the actual crimes against children were made by Sandusky, the media coverage would go for tens of minutes before they even mention his name, instead choosing to latch onto the public face of the University, who is only indirectly involved. 1. Unwavering hatred towards Sandusky, over and over again. 2. Support of Joe Paterno, who was fired based on his proximity to these allegations. 3. Vitriol against the media, for putting their hero in that position, as they saw it, unfairly. The series of events that occurred in 2003 will eventually come to light in great detail, and only then will we have enough understanding of what each party knew to make a rational judgement. Regardless of the outcome of the current investigation, the damage has been done. If those kids were in fact victimized it’s a tragedy. The most rock-solid reputation in sports has been cracked, and a proud University has had its name tarnished. Last night my girlfriend and I were watching some foreign horror and afterwards I quickly hopped on MSNBC.com while she went to get a drink or something. Of course, the news that Osama bin Laden had recently been killed was all over. 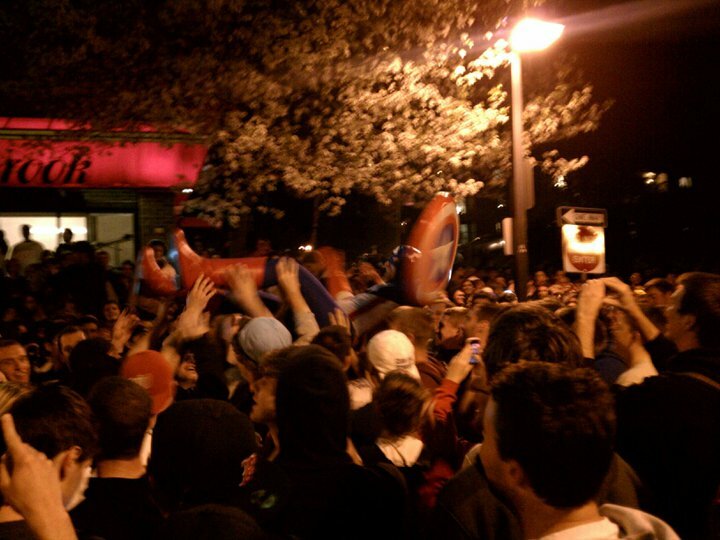 A quick look at facebook had a number of mentions that Penn State was “rioting” over it. I’ve been to a couple Penn State riots. Usually they involve a lot of drunk people being destructive until cops on horseback come and force people to leave, sometimes macing everybody until they disperse. We decided to go check this out though. I drove down to College Ave which was relatively peaceful and found a parking spot. But once we started walking towards Beaver Ave you could hear the roar and buzz of a huge crowd. 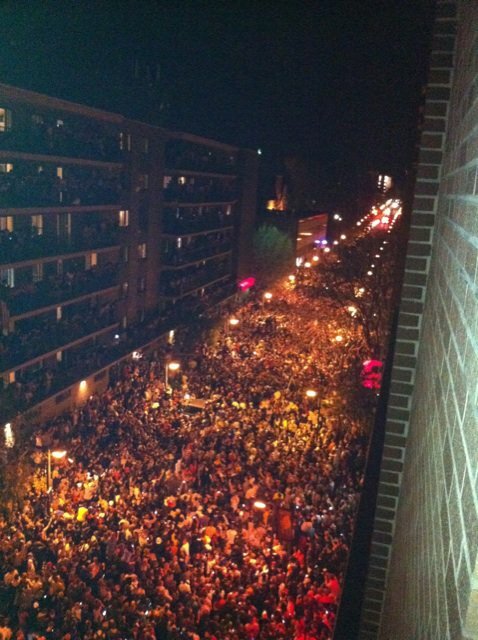 Thousands and thousands of Penn State students and State College residents were crowding the street. The police had given up on trying to stop it and had road blocks to reroute traffic around the street. In general the people were in a happy, celebratory mood. There was no fighting or anything, although there were people climbing on things. The street lights and the occasional tree were filled with kids. And people were being crowd surfed down the length of the enormous crowd. This included a guy dressed as Captain America and a guy wearing an all blue vinyl suit (ala Green Man). The best parts were when the entire crowd would spontaneously start singing the Star Spangled Banner. This happened more than once, including one time when a guy on one of the balconies pulled out an alto sax and began blasting out the song while everybody joined in and sang. Pretty cool. Overall, the mood was happy. I didn’t see anybody that was obviously drunk (finals DO start this week after all) and people weren’t being rowdy or destructive. I mean apart from the rolls of toilet paper that were constantly being flung around the crowd. I’m glad I checked it out for myself. UPDATE (via Onward State): Dado found dead in stairwell by Steidle and Deike. Foul play not suspected, however alcohol was involved. A fire has been lit underneath Penn State and the entire community is mobilizing to search for a freshman who went missing this weekend. 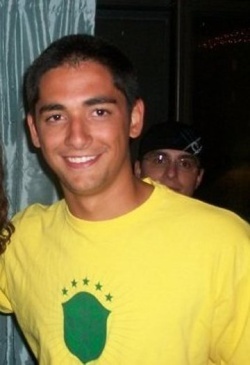 Joseph Dado was last seen on Sunday the 19th at 3:00 AM leaving the Fiji house on campus (Phi Gamma Delta). It’s one of the few fraternities at Penn State who still has a house that resides on the actual campus. But later on, when cutting through the HUB to grab a drink, I realized this was no ordinary flyby. Inside the HUB were dozens of students with fliers showing a missing student. His photo was plastered around the building, and there was an article in the campus newspaper. Onward State, a Penn State blog, has been updating all day. They’ve linked to a fast growing Facebook group, and noted that students and community members, led by the Interfraternity Council and the University Park Undergraduate Association, will be meeting tonight to organize search parties. The family has also put up a $10,000 reward for information. it’s kinda scary, because there is a history of people going missing around here, such as Cindy Song and DA Ray Gricar, not to mention the legendary unsolved murder of Betsy Aardsma. I think everybody is hoping this was just some drunken misunderstanding and not as serious as it is fast becoming. 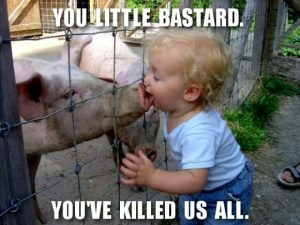 Is it just me or is this whole swine flu thing getting blown out of proportion? 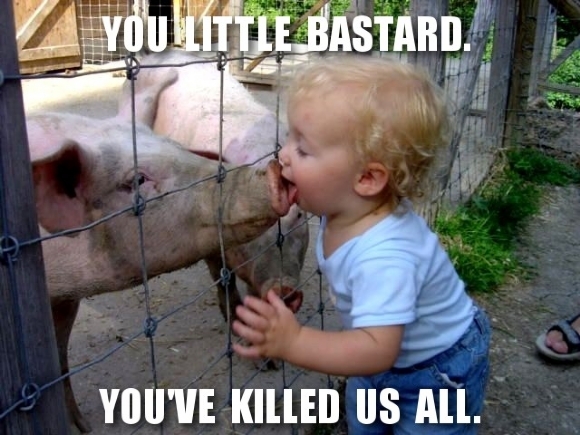 I realize that there’s been some deaths from it, but the truth of the matter is that all forms of flu can cause death. It seems as though the majority of American cases have been relatively minor. I think the panic that people are feeling is not quite necessary based on the facts of the situation.